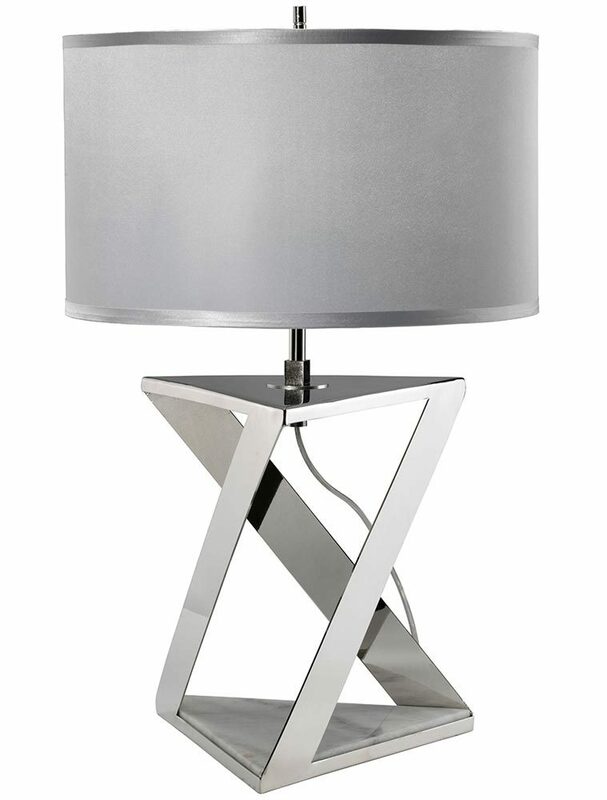 This Elstead Aegeus 1 light table lamp in polished nickel with grey shade is contemporary and stylish. 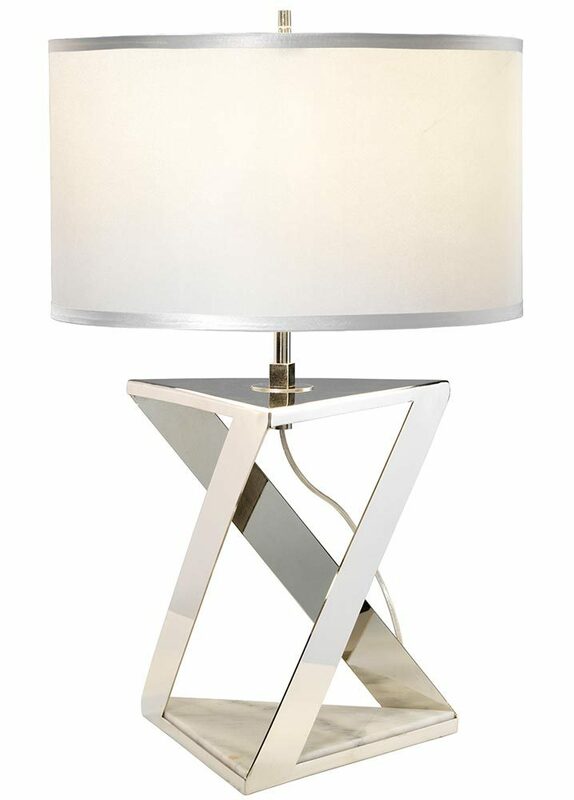 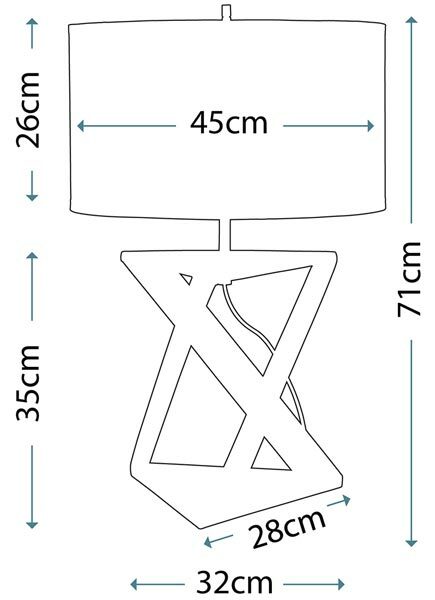 Featuring a triangular white marble base and bright nickel frame formed from diagonal flat section arms, with triangular top and central stem. 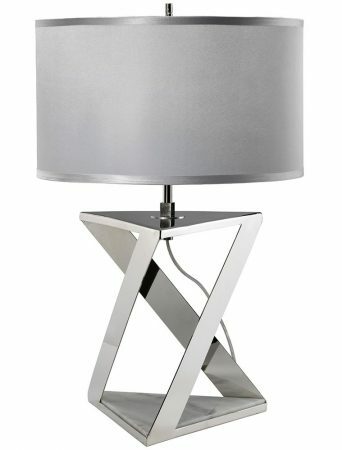 Supplied with an 18″ silver grey polycotton drum lamp shade with matching faux silk trim and bright nickel finial.